The Cattle Cycle, Sunspots, Climate Changes and the Orbital Interactions of the Gas Giant Planets | Watts Up With That? Researchers have long suspected a link between climate variations on the earth and the changes on the sun, especially the relationship between the sunspot cycle and the earth’s climate. Others have speculated that the periods of the sunspot cycle are related to the orbits of Jupiter and Saturn due to the fact that the that the period of Jupiter is 11.86 years, which is similar to the sunspot cycle of 11.8 years and the periodic conjunction of Jupiter and Saturn approximately every 20 years. While these appears to be strong links there has never been truly solid evidence to correlate these divergent cycles. This article shows that there is a relationship between all of these cycles, but that there are also powerful influences associated with Uranus and Neptune. It is demonstrated that the fundamental economic cycles of the world are based upon the cycles of the planets as is the timing and magnitude of the sunspot cycle and the also the changes in the earth’s climate which are at the foundation of the world’s economic cycles. It also shows that even though all of these cycles are linked the cycles of the sun are not the causes of the world’s economic cycles, but rather the cycles are driven by the changes in the electromagnetic climate of the solar system that appear to be associated with the interactions of the planets. Keywords: Planetary Cycles, sunspots, climate change. By Brian T. Johnston, Bsc., E. Eng T., EM. Eng. T., Bsc. Man. Eng. T., Bsc. Bus. Admin. Chart 1. 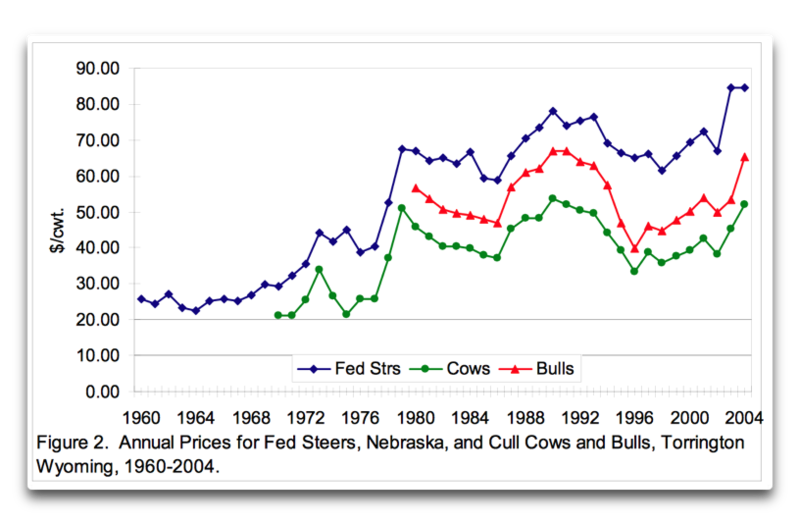 The above chart is the cattle cycle from 1974 to 2005. The degree markings are the relative angles between Jupiter and Saturn during this period. It is very easily seen that the zero degree and 180 degree angles are associated with the peaks in the cattle cycle. while the troughs are associated with the 90 and 270 degree angles. Electromagnetic changes in the environment have been shown to affect a wide range of biological systems. Emergency ambulance statistical data accumulated in Moscow during March 1983-October 1984 have been analyzed. Diurnal numbers of urgent hospitalization of patients in connection with suicides, mental disorders, myocardial infarction, defects of cerebrum vessels and arterial and venous diseases have been examined. Intensity and duration of planetary geomagnetic storms were used as magnetic activity indices. Comparison of geomagnetic and medical data rows has shown that at least 75% of magnetic storms caused increase in hospitalization of patients with the above-mentioned diseases on 30-80% at average. The dependence of the value of biotropic effect on the duration of effect and intensity of magnetic storm is observed. Six physiological parameters of cardio-vascular system of rabbits and ultrastructure of cardiomyocytes were investigated during two planetary geomagnetic storms. At the initial and main phase of the storm the normal circadian structure in each cardiovascular parameter was lost. The asynchronicity was growing together with the storm and abrupt drop of cardiac activity was observed during the main phase of storm. The main phase of storm followed by the destruction and degradation of cardiomyocytes. Parameters of cardiac activity became substantially synchronized and characterised by circadian rhythm structure while the amplitude of deviations was still significant at the recovery stage of geomagnetic storm. It appears that the cause of this is in part electromagnetic and that the planets are cutting the lines of force of the interplanetary magnetic field and feeds back this energy back upon the sun causing the observed phenomena. NASA has observed electromagnetic conduits between the earth and the sun and they have also observed pulses of energy being released by the earth’s own magnetic field as result of these interactions. The background electromagentic field of the solar system is much denser, by about 100 times, than what would be expected and there is of yet no explanation for this variation. It would appear from the observations that I have made that the planets are acting as amplifiers for the interplanetary magnetic field and that the conduits that have been observed between the sun and the earth are also present between the sun and the other planets as well. Recent scientific studies involving DNA, water, the environment and magnetic fields, lend support to the hypothesis that magnetic fields can carry biologically relevant information. The authors of a 2011 study conducted by Nobel laureate Luc Montagnier et al., say DNA in their experiments teleported itself to distant cells through electromagnetic signals. Furthermore, they indicated that this information could instruct the re-creation of DNA when the basic constituents of DNA are present and coupled with extremely low electromagnetic frequency fields. Explaining movements in daily stock prices is one of the most difficult tasks in modern finance. The existing literature by documents the impact of geomagnetic storms on daily stock market returns. A large body of psychological research has shown that geomagnetic storms have a profound effect on people’s moods, and, in turn, people’s moods have been found to be related to human behavior, judgments and decisions about risk. An important finding of this literature is that people often attribute their feelings and emotions to the wrong source, leading to incorrect judgments. Specifically, people affected by geomagnetic storms may be more inclined to sell stocks on stormy days because they incorrectly attribute their bad mood to negative economic prospects rather than bad environmental conditions. Misattribution of mood and pessimistic choices can translate into a relatively higher demand for riskless assets, causing the price of risky assets to fall or to rise less quickly than otherwise. There is strong empirical support in favor of a geomagnetic-storm effect in stock returns after controlling for market seasonals and other environmental and behavioral factors. Unusually high levels of geomagnetic activity have a negative, statistically and economically significant effect on the following week’s stock returns for all U.S. stock market indices. There is evidence of substantially higher returns around the world during periods of quiet geomagnetic activity. 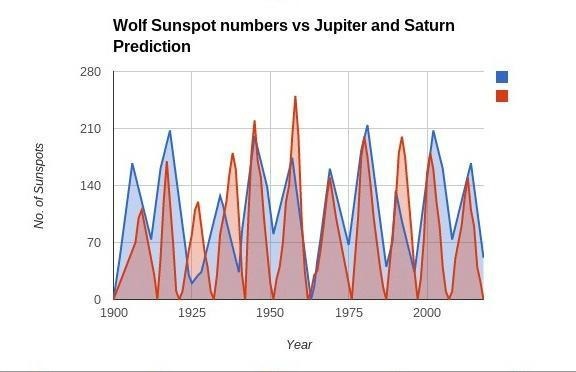 Chart 2, The above graph is of the Wolf numbers for sunspots since 1749. Chart3. A plot of the timing of the sunspot minima and maxima since 1820. Chart 5. 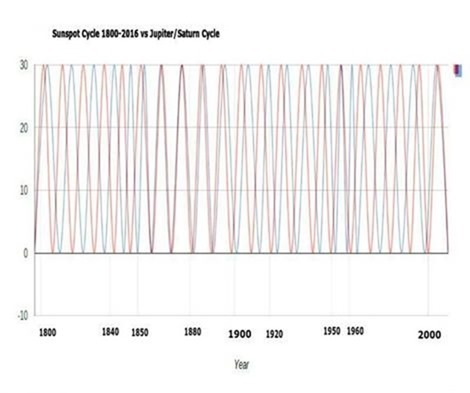 Combined cycles of Jupiter and Saturn and the sunspot cycles since 1800. Observe that a number of the peaks are exactly aligned, This is apparent between 1860 and 1900 and around 1960 and with cycles just after 2000. The pattern suggests that there was a phase shift between the two cycles that periodically occurred. Why this phase shift should be occurring was at first not clear. The conjunction of Jupiter and Saturn occurred in 1901 and we can see from the above graph that before this time the two cycles were in close alignment since about 1850 and after that there is an increasing phase shift that lasts until about 1952 when there is a single cycle in perfect alignment and then again the phase shift approaches zero in 2000. In 1897 Saturn and Uranus were in conjunction and this appears to have stimulated the shift in phase between the two cycles. 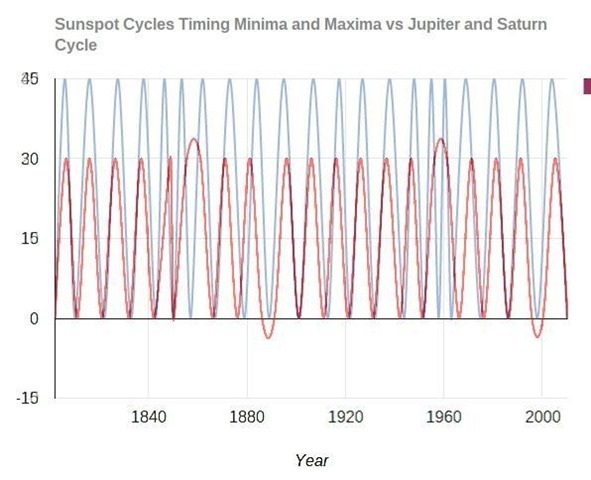 When we look at the harmonic pattern seen in the first graph of the sunspot maxima and minima we can see that there is a contraction in the length of the periods between the maxima and minima of the sunspot cycles in the 1850’s and in the late 1940’s through the 1950’s. Chart 6. The conjunction of Saturn and Uranus occurred in 1898 and it also occurred in 1987.This cycle is about 45 years and so this period represents two cycles between the planets. It appears that these particular conjunctions were pivotal in changing the polarity of the Saturn and Jupiter cycle to keep it aligned with the sunspot cycle. The agreement between the two curves, the Saturn/Jupiter curve and the sunspot cycle are statistically extremely significant. In fact there is no meaningful difference between the two sets of data. The most likely cause of this phenomena is that the basis is electrical and that the interchanges of energy seen by NASA in the form of massive electro-magnetic conduits between the sun and the earth must also occur with the other planets. Neptune, Uranus, Saturn and of course, Jupiter have massive electromagnetic fields and these fields must interact electrically. The relative positions of Jupiter and Saturn follow a simple dynamo pattern as in an electrical alternator. When the planets are either, depending on the polarity of the cycle, at angle of 90, or 270 degrees, or at zero or 180 degrees the two fields cancel each other out and this appears to dissipate the storms on the sun. At times they amplify each other and at other times they cancel each other’s fields out. This would also seem to explain where the additional energy that is observed to exist in the interplanetary magnetic field comes from. This polarity change appears to occur in the decade following the conjunction of Saturn and Jupiter. The same phenomena is seen to be observed in the polarity change in the 1950’s, only this time in 1955 there is a conjunction of Jupiter and Uranus. The conjunction of Saturn and Uranus occurred a little earlier in 1941 and this was at the same general time frame as the Jupiter/Saturn conjunction. As a result of the close timing of all three conjunctions this did not stimulate a polarity change. As result the conjunction of Jupiter and Uranus was responsible for the delayed phase shift in 1955 resulting in an extended maxima. In 1853 around the time of the first observed polarity change there was another conjunction of Saturn and Uranus. The largest polarity changes that are seen in the harmonics of the sunspot cycle occurred in the periods around 1855 and 1945. This is a period of two Saturn and Uranus cycles once more. The University of Colorado studies’ conclusion was that the tidal effects caused by the conjunctions of Jupiter and Saturn were the prime energizers that regulated the solar cycle. The problem with this being wholly gravitational in nature is that polarity changes due to the conjunctions Saturn and Uranus on very predictable time scale. In electrical systems this is quite easily accomplished. The conjunctions merely act as a switch which reverses the flow of the the electrical circuit. In the Colorado study they suggest it must be a type of gravitational amplification unknown in modern physics. I examined the relationship between the gravitational tidal effects of Jupiter and Saturn in relation to the magnitude and timing of the sunspot cycle and I found it did not follow strict gravitational formulae. If we use the mass times the distance squared the effects are too small to measure. Another problem was that where to begin the cycle. I noticed that the last few maxima of solar activity cycle occurred when Jupiter was between sixty and ninety degrees of ecliptic longitude. I presumed from this then that the peak could be taken to occur at a given ecliptic longitude for the position of Jupiter at the time of greatest maxima. This appeared to be at 270 degrees of ecliptic longitude, which happens also to be in this era the position of the galactic center. What I found was that if you took the ratio of the mass of Jupiter and Saturn respectively as 134 and 40 multiplied by the sine of half the angle between each planet and the center of the galaxy and then add the two resultants together you get very good approximation of the timing and the magnitude of the sunspot cycles. However, it suffers from the same problem of phase shifting as seen above. Where Pv is the predicted value for the number of sunspots and Phi is the angle between the observed position of Saturn (Sa,) or Jupiter (Ju) to the center of the galaxy at 270 degrees of ecliptic longitude. Chart 7. The graph above shows the correlation between the adjusted tidal effects of Jupiter and Saturn on the Sunspot cycles. Red is the Wolf numbers and blue is the prediction. It is easy to tell that there is an obvious correlation between the prediction made by the cycles of Jupiter and Saturn with the appropriate polarity changes as noted above. The Pearson correlation is r-0.515 and any value above 0.5 shows that there is a definite correlation between the two sets of data. The p value is greater than 0.00001. Graph 8. The planetary angular momentum compared to the sunspot cycle shows almost no true correlation, although although the curves appear similar. This similarity is largely due to the conjunctions of Jupiter and Saturn. The gravitational model cannot allow polarity changes like the electromagnetic model. The graph clearly shows the correlation between the gravitational oscillations gradually go out of phase like a stopped clock that is correct once a day. It also fails to predict the late maxima of the present cycle which is still showing very high levels of activity with 170 sunspots on November 26th, 2014. The angular momentum model shows a peak in 2012. The electromagnetic model fully compensates for this and predicts the end of the present solar cycle maxima with the 90 degree angle between Jupiter and Saturn in the summer of 2015. Chart 8. 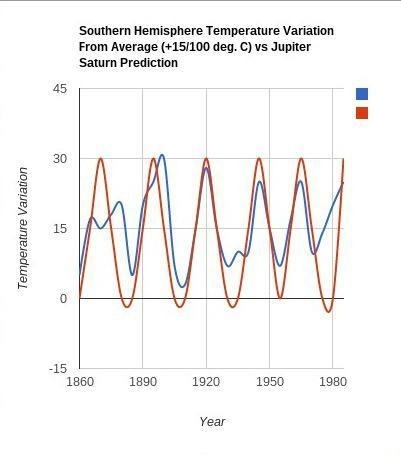 From this graph we can see that the prime stimulus to subtle climate variations (blue) on the earth are caused by the Jupiter/Saturn Cycle (red.) The relationship between temperature does not vary with the sunspot cycle, but rather with the direct cycles of Jupiter and Saturn. The graph for the Jupiter/Saturn Cycle was constructed by assigned a value of 0 for the conjunctions, 15 at the quadratures and 30 for the oppositions with the appropriate polarity changes as noted above. All of the polarity changes occurred around the time of a conjunction of Neptune and Jupiter. The correlation between the two sets of data is r-0.71, which is very significant for this type of data. P <0.00001. Chart 9. 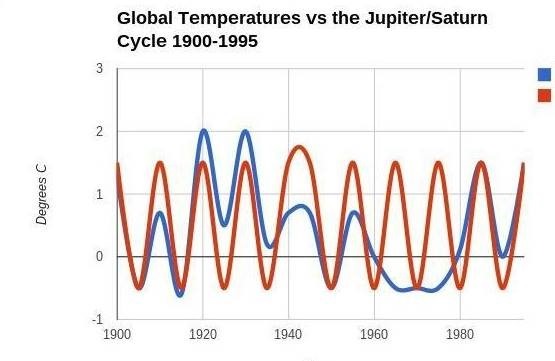 Global Temperatures versus the Jupiter Saturn Cycle with a polarity change in 1945 with the Neptune/Jupiter conjunction. From these investigations we can see that the various cycles are not in complete agreement and the observed changes in the earth’s climate are not directly influenced by the sunspot cycle, but rather with the cycle of Jupiter and Saturn with changes in polarity occurring when Jupiter is in conjunction with Neptune at the end of the cycle. The possible mechanism for all of these changes may be the conduits formed between the sun and the various planets and when the conjunctions occur the conduits align causing a cascade of the X-points creating vast changes in the electromagnetic climate of the solar system. 12, (http://phys.org/news/2012-11-high-frequency-flux-events-mercury.html ) The changes in the the electromagnetic climate of the solar system may cause the atmosphere of the earth to heat up as a result of the energy input of the X-point cascades which injects energy into the earth system resulting in climate changes. 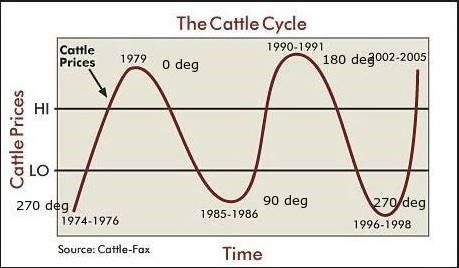 These climate changes then create more, or less favorable growing conditions which in turn results in the economic cycles which are defined by the Cattle Cycle. With these tools we should now be able to more easily predict the future for the economic cycles which affect the world’s economy and be able to predict astronomical influences over climate change. The curve of the temperature variations for the Southern Hemisphere is very strongly linked to the Jupiter/Saturn cycle and not to the sunspot cycle. There is only a very loose correlation between these two factors as the polarity changes are not in sync. Nor is there a correlation between temperature changes and the magnetic orientation of the sun, which changes approximately every 22 years which is also out of sync. These factors are probably why the link between the sun and climate change has not been easily proven in the past, as it is not the prime cause of temperature variations on the earth which appear to be more closely related to the electromagnetic changes in the interplanetary field of the solar system. These changes now appear to be largely driven by the cycles of the outer gas giant planets and their geometrical relationship to each other, which is fairly easily understood through standard electromagnetic physics. The fact that the sunspot cycle is determined by Saturn and Jupiter’s angle to the galactic center is an anomaly. It may be that the center of the galaxy acts as a negative electromagnetic pole which then polarises the galactic field. In electronics the transistor is the fundamental unit for amplification. The transistor is made up of three components, the emitter, the base, which injects the signal to be amplified and the collector, which receives the amplified signal. If we use this analogy the direction of the galactic pole acts as the emitter, and would represent a negative pole. The planets would be the base injecting small varying signals, just as is done to amplify sounds in a stereo. The amplitude of the sounds fed into the base of a transistor in a stereo is very small but is electrically positive and the variations in potential caused by the small changes in amplitude of the base caused a large change in the flow of electrons from the emitter to the collector. The collector is a ground and so is negative as well. This would be known as NPN transistor in electronics. Thus, when the electromagnetic flow of the intergalactic field is disturbed by the motions of the planets there is a proportionally much greater change in the flow from the galactic field to the sun. The working of the actual field are in fact more similar to the vacuum tube where the between the emitter and collector is a plate, which acts like the base and signals are fed into the plate which then greatly varies the flow between the emitter and collector through evacuated space in the tube making sounds which cannot be heard to power loudspeakers. The potential between the emitter and collector roughly estimates the degree of amplification. The intergalactic field is roughly 10-10 teslas while the sun’s field is approximately 10-4 teslas and so the potential difference is 106 teslas. Any positive potential which is injected between these two fields would then be amplified by a million times on the surface of the sun. As Jupiter and Saturn orbit the sun their respective fields amplify the potential when they are in conjunction to the center of the galaxy, or dampen it at that time depending on the polarity of the particular cycle. Image 2 is of the equivalent electronic circuit that conforms to the observed phenomena of the electrical fields of the solar system. The circuit is a common emitter configuration which allows for abrupt changes in polarity in the circuit flow. It seems the most apparent solution the root cause of all the related observed phenomena that the solar systems changes are electronic in nature and the solar system is a vast amplifier of the potential of the intergalactic field. This results is the very small signals of the planets being able to affect enormous changes in the solar fields’ activity and also the climate of the earth. This electronic action results finally in the changes to the economic cycles of the world characterised by the Cattle Cycle. 4. Biofizika. 1995 Sep-Oct;40(5):959-68. [Biological effects of planetary magnetic storms].Chibisov SM, Breus TK, Levitin AE, Drogova GM. 6. Scafetta, N., Does the sun work as a nuclear fusion amplifier of planetary tidal forcing? A proposal for a physical mechanism based upon mass-luminosity relationship. Journal of Atmospheric and Solar-Terrestrial Physics 81-82, 27-40 Geophysical Research Letters, Vol. 16, pg 391. 7. Scafetta N., Multi-scale Harmonic Model for Solar and Climate Cyclic Variation Throughout the Holocene. Based upon the Jupiter-Saturn Tidal Frequencies, Plus the the 11 Year Solar Dynamo Cycle. Journal of Atmospheric and Solar-Terrestrial Physics, 80, 261-311. 8. Scafetta N. Testing an Astronomically Based Decadal Scale Empirical Climate Model Versus IPCC (2007) General Circulation Climate Models. Journal of Atmospheric and Solar-Terrestrial Physics 80, 124-137. 11. Landscheidt, T. 2000. River Po Discharges And Cycles Of Solar Activity – Discussion. Hydrological Sciences Journal-Journal Des Sciences Hydrologiques 45 (3): 491-493. 12. Landscheidt, T. 1999. Extrema In Sunspot Cycle Linked To Sun’s Motion. Solar Physics 189 (2): 415-426. 13. Landscheidt, T. 1988. Solar Rotation, Impulses of The Torque In The Suns’ Motion, And Climatic Variation. Climatic Change 12 (3): 265-295. 14. Landscheidt, T. 1987. Cyclic Distribution Of Energetic X-Ray Flares. Solar Physics 107 (1): 195-199. 15. Landscheidt, T. 1981. 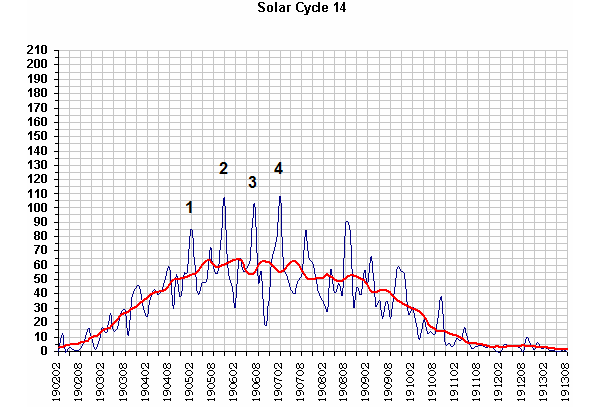 Swinging Sun, 79-Year Cycle, and Climatic-Change. Journal Of Interdisciplinary Cycle Research 12 (1): 3-19. Are stress responses to geomagnetic storms mediated by the cryptochrome compass system? 1. Stoupel E.,2. Petrauskiene J., 3. Abramson E., 4. Kalediene R., 5. Sulkes J. 3. 2002 Distribution of monthly deaths, solar (SA) and geomagnetic (GMA) activity: their interrelationship in the last decade of the second millennium: the Lithuanian study 1990–1999. Biomed. Pharmacother. 56 (Suppl. 2), 301s–308s. CrossRefMedline 1. Hrushesky W. J. M., 2. Sothern R. B., 3. Du-Quiton J., 4. Quiton D. F. T., 5. Rietveld W., 6. Boon M. E.
CrossRefMedlineWeb of Science 1. O’Connor R. P., 2. Persinger M. A. 17. 1997 Geophysical variables and behavior: LXXXII. A strong association between sudden infant death syndrome and increments of global geomagnetic activity—possible support for the melatonin hypothesis. Percept. Mot. Skills 84, 395–402. 18. CrossRefMedline Biofizika. 1995 Sep-Oct;40(5):959-68. [Biological effects of planetary magnetic storms]. Chibisov SM, Breus TK, Levitin AE, Drogova GM. 20.http://rspb.royalsocietypublishing.org/content/early/2012/03/12/rspb.2012.0324.full#xref-ref-33-1 Are stress responses to geomagnetic storms mediated by the cryptochrome compass system? 21. C.T. Russell, 1995, A study of Flux Transfer Events at Different Planets, Adv. Space Research, Vol. 16, pp (4)159-(4)163. August 16, 2015 in Science, Solar. Changes in climate alter the amount of diesel fuel required in the production process ? Weather drives food prices, in total, In a trivial way, commodity prices drive other commodity prices, with the single strongest relationship to the price of crude, and the price of crude is driven by geopolitical issues as well as the changes in exploration and recovery technology. Economic cycles tie all sorts of prices together. Correlation is useless. When money is scarce in recessions, most prices move together… ( though inferior goods go in the opposite direction but with the same timing). The core idea of relating economic cycles with Saturn-Jupiter cycle has been copied/ pirated from my book “Stock Market Astrology & Astrological Theory of Business Cycles” published in 2009. The theory has been thoroughly discussed by me in that book and it addresses all the concerns raised by you it correlates the findings with 100 years data without fudging out sync errors with magic fudge. Although this article tried to pirate my findings without giving due credit to my book but true correlation and proper explanation can only be found in my work. I will look for a copy of your book, as the topic interests me. I do have to point out, though, that the idea of “as above so below” has been around for thousands of years, that Jevons wrote up his analysis of hundreds of years of British Empire India grain data in 1875, and that the connection between Saturn / Jupiter and sunspots has been around for about as long. I think you would have been better served wihtout the “pirate” attack and with a simple bit of self promotion. I dont need bit of promotion for my book as stupid people like u may think of coz my books are already fully sold aal over the world and at present out of stock for last few years. If anybody pirates anything from my bokk then i will definitly claim that to be my original work, which was result of my hard work, not pirated from here and there like the present essay is. You gave me quite a chuckle with that second response. Jupiter’s magnetic field is the largest structure in the solar system. The largest ‘structure’ is the Heliographic Current Sheet. The magnetospheres don’t matter as they all point away from the Sun, and any magnetic effect from them cannot travel upstream in the supersonic solar wind. What is the speed of sound refered to here ? Does “supersonic” mean faster than the speed of sound at sea level in the earth’s atmoshere ? What is the speed of propagation of a change in a magnetic feild ? For once I am in agreement with you, Lord Kelvin. Ditto “confused” from an Electrical Engineering perspective as well. Need to relearn how ” valves ” work. Ain’t no plate in the middle of anything acting like a bipolar transistor base. Valves are voltage based, while bipolar transistors are current based. Even MOS transistors don’t work anything like valves, or like bipolars either. And for an NPN bipolar transistor, the collector would not normally be a signal ground, it would be the place to get the amplified output current. Now if the circuit was an emitter follower, then the collector would be a signal ground, but then the emitter output signal would generally be a voltage, with a voltage gain less than one. Clearly you don’t know anything at all about electronic circuits, so you should stop using them as ” analogies “. Also a lot of ‘It matches great until it doesn’t then added fudge fixes it’. Brian T. Johnston claims that – “Image 2 is of the equivalent electronic circuit that conforms to the observed phenomena of the electrical fields of the solar system.” – and no further explanation. This last diagram has over-egged this pudding. What exactly is this circuit supposed to achieve ? Mr Johnston MUST explain that part further, or else his entire explanation becomes rather dubious. That’s the problem: the circuit is gibberish – it does nothing. Perhaps this diagram will make more sense in the context ? That’s wonderfu! Makes more sense to me than most circuit diagrams, too. That’s as good a visualisation of a climate model as any I have seen. Brilliant. Even Mann-ual intervention is seen in places. Actually the circuit in image 2 doesn’t look funny, it looks like a pretty typical analog circuit. Not a bad solution there Wun Hung, but I did find a couple of dead shorts in there that you need to fix ! Very impressive system! But have you determined its Lyapunov exponent? Interesting that Venus has about the same “tidal effect” on the sun as Jupiter and even earth+moon still have halve the influence of Jupiter. One question: if we take the sun as a boiling mass, a small disturbance may have a (relative) large effect. Is there any indication of more solar flares when the three most important influences Venus, Earth and Jupiter are on one line towards the sun (or opposite to the sun)? Not that I know of, although you can find claims about just about anything you like somewhere. EMB=Earth-Moon-Barycenter. AM of Venus is very similar. It’s not tidal, it’s Jupiter and Saturn accelerating Earth and Venus, i.e. accelerating parts of the mass they are orbiting. lgl, this looks very interesting. Can you provide something that states clearly what is being plotted, with source refs for the data? In particular, what is the orange line on the EMB graph? Also, why do your vertical orange bars stop in 1800, does this relationship drift out of phase after that ? It appears by eye that the EMB peak around 1990 aligns with a solar peak. This is the opposite to the bars you have marked where a trough in EMB aligns with solar peaks. 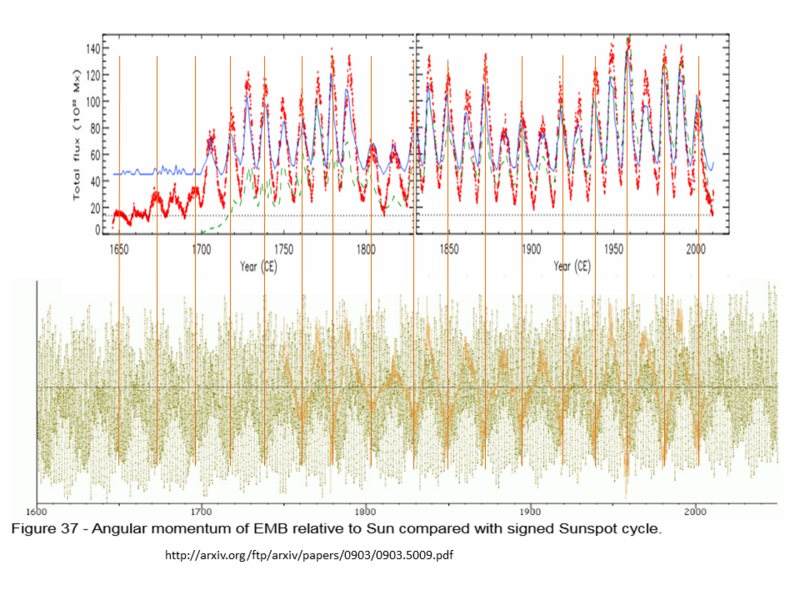 What is the possible link between Sunspots and the E-M barycenter angular momentum.? Does this imply that gravity is variable? What else could cause such a synchronicity? To me it seems obvious that when Ju and Sa accelerate parts of the mass they orbit (the inner planets) the rest of the mass, the sun, will be affected. It is the sun and inner planets that together ‘counter’ the free fall of Ju and Sa. But if you ask scientists like Leif S. they will say this is nonsense and that there is no possible link. The example that made me reevaluate my belief was a person in freefall in orbit, what is there sensation of acceleration? But I think the observational evidence of longer term (non-earth’s orbital shape related) cycles makes me think there is something happening. I like the physics of magnetic fields to link planetary position to the Sun’s level of activity. Each point is an orbital subtraction calculation of the mean anomalies of four planets Jupiter, Mars, Earth and Venus, taken on the 1st of January every two years from 1900-2012.. The shape of the orbital subtraction points resemble the shape of the ssn record. Having followed the relation between sunspot numbers and shortwave radio propagation, I have a bias towards thinking that variations in the sun will have some effect on earth’s weather and climate. I’ve seen a lot of hints about kinds and magnitudes of effects, but nothing unequivocal. Don’t forget that the moon has a large tidal effect on the Earth. There is about 1/2 the effect of the wind on ocean overturning just from the tides (and overturning raises cold water and cools the place) Not consider that the lunar orbit changes, rather a lot, over thousands of years, and that the planetary orbits are all synchronized via the gravitational effects of the gas giants via orbital resonance effects over millions of years. Essentially, the solary barycenter is a red herring and looking for TSI to change things is looking at a side effect at best. The big influence is the local shifts of gravity and tides from our orbit and the lunar orbit shifting; but since both are driven by the gas giants orbits, we have a confounder in that “they all come together when they come”. Is it solar wind, UV variation, lunar ocean tides, lunar air tides, lunar tidal crustal tides and volcanoes, etc. etc.? The answer is “yes” since all come in sync due to orbital resonance. Is it solar wind, UV variation, lunar ocean tides, lunar air tides, lunar tidal crustal tides and volcanoes, etc. etc.? The answer is “yes” since all come in sync due to orbital resonance. But don’t forget we have a solar system with extremely large and potentially variable magnetic field generators, with a Sun that also has a large variable magnetic field generator. I too wanted it to be gravity, and maybe it is in part, but I think I’ve decided magnetic field lines is a more promising venue to research. Is see lots of post hoc correlations put together and I also see anti-correlations, but seems like a load of bullocks IMO. For any hypothesis, it must make predictions; predictions that can be falsified with future observational data. Your task: Certainly we know where the planets are going to be over the next 100 years to the precision these assertions would require to be mechanistically true to the claimed influences on Earth’s climate. So: Make a set of predictions going forward 50 years, and check back here in 25 years (2040) and we’ll score you at half-time. Until, then…. extreme skepticism with the conclusions presented by Mr Johnston need be applied. Forces deep inside Saturn create a giant magnetic bubble around the planet, called the magnetosphere, which exerts a powerful influence on particles that float through space near the planet. Saturn’s magnetic field creates this bubble as material cycles deep within the planet’s fluid interior. In a similar way, Earth’s magnetic field creates a much smaller magnetosphere that protects us from harmful particles emitted by the sun and other space phenomena. Outside Saturn’s magnetosphere, a million-mile-per-hour gale of particles from the sun, called the solar wind, spreads out through the Solar System. When the solar wind encounters Saturn’s magnetosphere, it streams around it, like a stream around a rock. So outside the planet’s magnetosphere, the sun’s magnetic forces dominate, while inside the planet’s protective bubble, magnetic forces of Saturn reign. Saturn’s magnetic field has north and south poles, like those on a bar magnet, and the field rotates with the planet. On Jupiter and Earth, the magnetic fields are slightly offset from the planets’ rotation axes – this offset is the reason we say compass needles point to “magnetic north” rather than true north. But Saturn’s magnetic field is almost perfectly aligned with the planet’s rotation. Formula linked in my comment above was devised around mid 2003 (published 8th January 2004) extrapolated beyond 2030, suggested for the SC24 SSNmax around 80 (monthly non-smoothed) so far so good. Two years later Dr. S predicted Rmax around 70, while NASA was still going for the strongest cycle ever. Sorry, but an n=1 or n=2 is far too small a sample size on a simple metric like SSNmax. Error bounds of the prediction on alternative hypotheses and the null hypothesis also must be considered too. If you see me in 110 yrs, I can promise you I won’t look like I do today. More like Yorick the Skeptic. When 900 years of data you have gathered, look as good you will not. Sorry, but an n=1 or n=2 is far too small a sample size on a simple metric like SSNmax. But Vuk’s formula does not just provide a simple metric like max SSN . In particular, the polar field strength fits rather will over the 11 years since it was published. The test of this formular will be the phase change in 2030 that is visisble in this top panel and lack of a negative excursion in his lower panel. J&S seem to account for the largest features of the solar pattern but at the point of minima like the coming decades and the early 20th c., the effect of other minor players will have a visible residual effect. It seems that the JS only formula tends to under-estimate the minima. Note centennial regularity (“sun was the same 100 years ago but climate is not” said Stanford solar sage) with the phase perturbations at 1810, 1913 and ‘predicted sometime in the early 2020s. Remarks made above are valid, and I am fully aware of a very long list of shortcomings (I’ll keep quiet about that), but it appears to me that no other hypothesis has come any closer to physical reality, while predictive value could be considered ‘moderate’. When a less complex and more accurate formulation is presented and demonstrated after n*11 years in future I shall return to this very page and accept a defeat. Try adding the Earth, Mercury, Uranus and Neptune, their magnetic fields also modulate the Sunspot record, and one thing I didn’t consider is that there could be a galactic field, which would then setup a much longer cycle around Neptune’s position. Look at the 1907 Solar Cycle, Mercury’s effect is quite visible, but note, it won’t be the exact period of it’s orbit as the other planets move as well. And the predictions for the global climate of the next few decades are what exactly? It’s a testable theory, right? The core idea of relating economic cycles with Saturn-Jupiter cycle has been copied/ pirated from my book “Stock Market Astrology & Astrological Theory of Business Cycles” published in 2009. The theory has been thoroughly discussed by me in that book and it addresses all the concerns raised by you, it correlates the findings with 100 years data without fudging out sync errors with magic fudge. Although this article tried to pirate my findings without giving due credit to my book but true correlation and proper explanation can only be found in my work. Though my book donot made any predictions for global climate for next few decades but it does contain predictions for economic activities for next 5 decades based upon my theory. William Herschel noticed a correlation between low sunspot numbers and the price of wheat. (1801). At the time, the sunspot cycle had not yet been noted. (Schwabe .1843). How about the price of Wheat Thins? Oh, and Druids too. ( I have a “Master Druid” rating I picked up for fun…) But they, too, use nature as predictor and look to the skys. I think anybody with minimal level of intellect and minimal level of understanding of english language can understand that this essay is not about establishing relation with sun spots and economic cycles. Whereas it is about establishing relation with sat-jup cycles with economic activities which is actually original work of mine published in 2009. Secondly I am not older than S.Jevons who established sun spots with business cycles in 1875, nor i am claiming his findings atall. The core idea of this essay is establishing relationship of economic activities with sat-jup cycles, which is my original work. If u dont understand this much simple thing then i am sorry to bother a brain dead person like u. I dont want to argue with foolish people even if my work gets pirated, i thought that those who are participating in this blog are intellectual people and have reasonable understanding of english and subject as well. Sorry once again, to bother you. Enjoy the way u like, nonsense people like u who donot value original works donot make any difference to me . Instead of being dominated solely by the flow of the interstellar material to create a long tail, the shape of the heliosphere is also affected by the solar wind jets emanating from the sun, said Drake. In the presence of the interstellar flow, these jets are bowed backwards, creating a crescent shape, as seen from the side of the sun. The jets erode in the presence of the strong interstellar flow, leading to two attenuated, short tails. This leads to a much shorter heliosphere of only about 250 times the distance between Earth and the sun, or about 23 billion miles. Again, this is irrelevant because magnetic effects cannot propagate upstream against the supersonic solar wind. Amazing how people keep heaping irrelevancy upon irrelevancy. I guess that just [sadly] shows the scientific illiteracy out there. Leif, how has that been proven? Curious. Leif. And what is your take on these flux transfer events at 8 minute intervals? expands about 10 times faster than the Alfven speed [by direct measurements] corresponding to ‘Mach 10’. Those events just happen. No particular and profound cause. The article by NASA, cited above, states that these flux transfer events have been measured and timed, and seem to be stable structures for short periods (8 minutes), linking the sun to the Earth, “something like a portal/conduit about the size of the Earth. Theres about 8 satellites measuring these structures, a few from the ESA. The magnetic field lines link the Sun and the Earth all the times. The 8 minutes is just the timing of some random events and have no further meaning. The time for light to travel from the sun to the earth is 8 minutes. Coincidence? yes, coincidence. The solar wind does not know that we are watching it, so does not know to show structures for us to watch that are 8 minutes apart. It takes the solar wind 4 days to reach the Earth. My thought is that it’s the field lines from all of the magnetic planets (Earth, Jupiter, Saturn, Uranus and Neptune, plus Mercury’s iron core) they would all interact with each other, and at least when the Sun is switching it’s magnetic field, there would be a chance for the fields to imprint on the upcoming Solar cycle. magnetic effects cannot propagate upstream against the supersonic solar wind. the solar wind from the sun would be circular in the absence of the interstellar wind. but it isn’t. therefore the interstellar wind is affecting the solar wind. it is compressing the wind in one direction and stretching it out in the other. Again, this is irrelevant because magnetic effects cannot propagate upstream against the supersonic solar wind. Even if the magnetic fields from the planetary dynamo’s can’t reach the Sun, the Sun’s field lines will be pushed around as the planets move. You can see the affect of Mercury in the 1907 Solar cycle, but it isn’t a single planet, it’s the ones that are either large lumps of Iron (Mercury, as all electrical engineers know moving a lump of iron near a coil changes both it’s magnetic fields and it’s inductance), or have their own powerful magnets. Mercury, Earth and Uranus have the opposite polarity of Jupiter, Saturn, and Neptune. So the field lines from Jupiter and Saturn will buck, but they would also want to couple to a Sun with a S/N magnetic field, Uranus and Neptune’s fields are also tilted, making it even more complex. In the presence of the interstellar flow, these jets are bowed backwards, creating a crescent shape, as seen from the side of the sun. The jets erode in the presence of the strong interstellar flow, leading to two attenuated, short tails. This leads to a much shorter heliosphere of only about 250 times the distance between Earth and the sun, or about 23 billion miles.. But I do have a question Dr. S., how does the solar gravitational function play with the planets when they enter the particle streams? Gravity does not play a role in the solar wind. 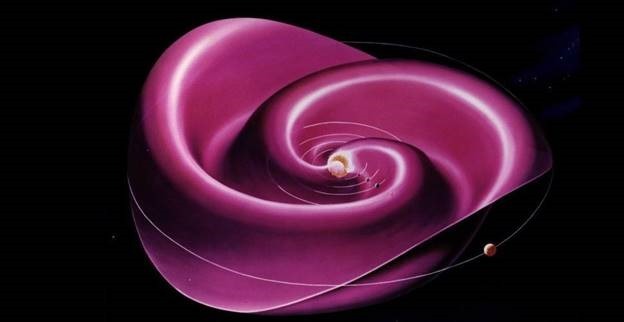 The interstellar magnetic field never gets into the heliosphere. Think bent, weakened polar fields Dr. S., for this Solar Cycle 24. What is the role of the polar regions and the movement of magnetic flux from poles to equator, then equator to pole and so on and so forth.. The interplanetary magnetic field is mostly being generated from equatorial regions and that not being very active either. If the helio current sheet is rotating with sun and solar wind, field and densitys are lower this solar cycle, there must be substantial gaps in the heliosphere as well. Rotation and current sheet tilt angle changes, just roll them interstellar fields right up and in? the outer extent of the S. polar vortex reaches within 10 degrees of the equator at high altitudes. Is it possible for the S. polar vortex to extend its outer rings out of the southern hemisphere? Colder air pushing northward from the south. interstellar neutrons might not agree. even charged particles enter the earth’s atmosphere at the magnetic poles, because they are not crossing the magnetic lines of force. it would stand to reason that even charged particles in the interstellar wind can enter the heliosphere at the suns magnetic poles. Ummm… A confused theory of everything? Here is some more research on the Climate Change and the markets. Unit Economics is the once firm I know of that will challenge the Climate Change nonsense. I don’t know anything about Unit Economics, but it’s certainly a hard-hitting and quite well-argued piece. I am beginning to think that quite possibly these data “adjustments” may be the biggest scientific fraud in history. If a company acted like this – allowing people who have a vested interest to adjust key data on a massive scale – then the senior company heads would quickly find themselves behind bars. 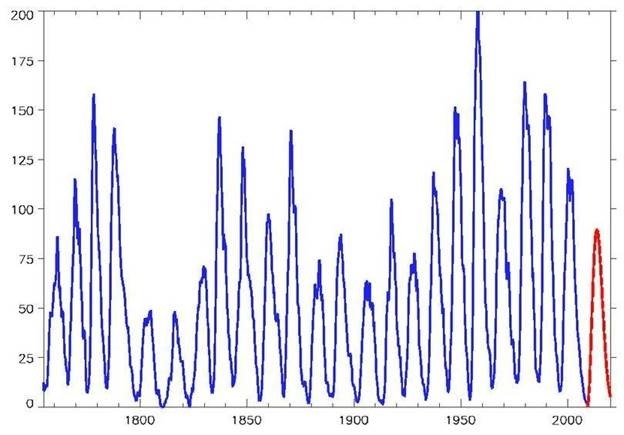 Unless you can prove you are older than S. Jevons who did an analysis of Indian grain prices vs sunspots vs business cycles in 1875; or can show you were doing this prior to the “Astrological busniss cycles” newsletters of the 1970s that I used to see, I suggest a lot more modesty is in order. I quit reading after they compared sun spots to climate change(which is probably true) but then linked that to the economy? The price of oil etc. has never been influenced by climate change, except for political gains. Oh wait. That’s what cAGW is all about, pure and simple BS politics. Back in the 1800’s they noticed that the price of wheat followed an 11 year cycle. When I was 12, I had a reading addiction. I would read anything. Among the stuff I read was some of the pseudoscience popular at the time along with real science. The difference is pretty apparent. This reads more like Von Daniken then Dirac. Do not tell me you threw away your Mood Ring? He taught us about biorythms, like it was established medical-physical fact. Joel, are you implying that you don’t sleep on regular basis? 1. Physiology. an innate periodicity in an organism‘s physiological processes, as sleep and wake cycles. 1. a hormone secreted by the pineal gland in inverse proportion to the amount of light received by the retina, important in the regulation of biorhythms: in amphibians, it causes a lightening of the skin. you need to read the Wiki on Biorythms to understand how much like astrology it is. Humans have an inate need to find patterns and cycles. Shaman, witch doctors, and snake oil salesmen have always exploited this simultaneous human strength and weakness for their personal monetary benefit. 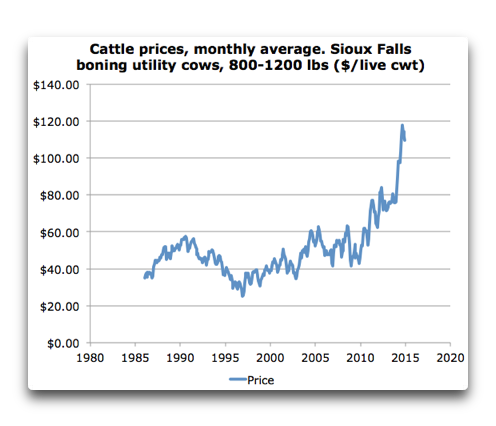 The recent run-up in cattle prices has at least as much to do with the increase in cattle feed prices due to so much corn being diverted to alcohol production, which makes it part of the political cycle, not the solar cycle. Anything that is cyclic can be emulated using an electronic circuit. That is not evidence of anything other than the fact that electronic circuits are good emulating cyclic events. While it is true that there is evidence that changes in magnetic fields can have an influence on biologic systems, especially brain function, the magnetic field changes were several million times greater than the sun’s magnetic field at the distance of the earth’s orbit. Theodore Landscheidt made some amazingly accurate predictions of El Nino behavior while he was alive. He sold me on Barycentrism, which, I believe, for him weighed the rotating masses of all the planets, not just Jupiter and Neptune. When the center of mass of the solar system moved outside Sol’s diameter, interesting things happen. I’d be surprised if the planets do not have a noticeable effect, though it will be difficult to unravel. The problem with whole “barycentre” idea is that the barycentre does not have any mass at that point, therefore it can not do or cause anything. In a two body system there is a special case where it lies on the line of mutual attraction and hence along the vector of the graviational force. This ceases to be the case as soon as there are three bodies in the system but many people understand this. The barycentre is not the centre of gravitational attraction in a multibody system. It can not DO anything. I’ve spent quite a lot of time looking at these ideas and they all just work part of the time and require closing one and ignoring the bits that don’t work. The barycentre concept has been a major distraction of effort for those trying to understand the effects of the planets. Human beings learned to predict the seasons long before they understood the cause. The shadow cast by the sun does not cause the seasons, but it most certainly does forecast the seasons. Similarly, Barycentrism need not cause sunspots to successfully forecast them. Science makes a huge mistake in insisting on a mechanism as a condition of prediction. This makes science captive to belief rather than observation. Belief gains the upper hand over knowledge, and we are back a pseudo science. Mechanism should follow prediction. It should not be a condition of prediction. We still have no idea what causes gravity, yet we can predict the effects of gravity with great precision. It is pseudo science to insist we know the cause of gravity as a condition of predicting gravity. This is all accounted for in the climate models correct? This holistic article is too much of a ‘trail mix’ for me. It is better to take the main effects on climate and then mention that it has also been thought to effect other things. I have trouble with your oscillations shifting out of phase. Myriad sine waves of different frequency are going to coincide periodically. If it is alignment of the planets causing the spots, they wouldn’t be going out of phase like that. This is a confounding factor, not a support. The rationalizations for NOT coinciding is what is done when a theory has been betrothed to the researcher. Also, with mercury, venus earth and mars (too lazy to calculate) a bigger(?) gravitational effect than Jupiter + Saturn (forget Uranus and Neptune). 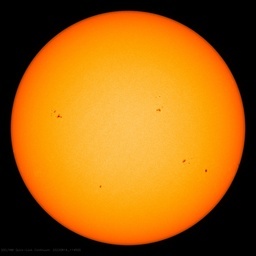 Why wouldn’t they cause the sunspots (conjunction of all 5 should cause a real chicken pox of spots). The differential between the galactic centre and the components of the solar system would be irrelevant (immeasurable). More: if these cycles are the big Kahuna of climate why doesnt climate just swing up and down instead of having substantial periods of cooling and warming. Finally, as others have pointed out, what do you predict is going to happen over the next 50 years or so – we know when conjunctions are going happen. We live on a rotating planet with an orbiting moon which collectively orbit a star in conjunction with a set of other planets. Our planet has a very large quantity of surface water interacting with the moon and the bordering continents. The star itself is a plasma fluid ball which in turn is influenced gravitationally by the planets as others here have noted and in relative terms quantified to some extent. Standing back from the matter and looking at temperature records and other data from our planet, the notion that climate metrics indicate are product of a lot of cyclical influences of varying frequencies and amplitudes is hardly irrational. This leaves us with a potentially very, very complex mechanism that might affect our climate variability with all sorts of primary frequencies as well as interactive effects such as ‘beats’ between phenomena at similar frequencies and other second, third and higher order effects. An example might be planetary gravitational effects affecting sunspot and flare activity in turn affecting the disposition and arrival at Earth in interplanetary space of zodiacal dust as some Russians have speculated and other phenomena like incoming radiation that affect albedo etc. It seems to me that this complex ecosystem of potential influencing effects is way too complex for the bulk of people involved in climate science who seem to be mesmerised by a single fish swimming around in its tank by itself with a hand full of pebbles in the bottom for context. It is perhaps little wonder that that fish is their pet fish and they have constructed a career and a life on examining the entrails of its movement and behaviour and Tweeting its every twitch and turn to the world. Gary, you must have missed the part about the magnetic fields of the planets. His hypothesis seems to be that gravity is inconsequential, but the various magnetic fields have an influence. Venus and Mars have none. Mercury has one, but it is less than 1% as strong as that of the Earth, although I believe it may be strong enough to deflect the solar wind somewhat. Jupiter’s is some 20,000 times as strong as that of the Earth. Saturn’s is almost 600 times that of Earth. Uranus is about 50x, and Neptune a little over 25x Earth’s field. where I point out the long history of corrolating the business cycle with solar changes and I would also point out that “Astrological stock prediction” has been around since at least the 1800s and I was seeing newsletters using it in the 1970s. I stopped reading this article almost immediately. Though I am the type of person who thinks he is a lot funnier than other people think he is, still, I refuse to go dumpster diving looking for a joke to make. I have my unprofessional pride, you know. Okay, here’s some cheeze whiz-in-a-can too. Enjoy. I prefer popcorn with my pseudoscience. Much healthier than crackers. I think Climat eChange is mostly cotton candy though. Like a hockey stick talk from Al Gore, it just leaves all sticky and looking for shower. lsvalgaard August 16, 2015 at 1:49 pm The magnetic field lines link the Sun and the Earth all the times. I guess that just [sadly] shows the scientific illiteracy out there. and/or the fact that some input , somewhere, even if “overcome” does not alter the working of the system as a whole with ramifications to any effect, if one was possible in the first place. Just feel this needs better wording. The solar wind is a plasma and pushes the magnetic field away from the sun 10 times faster than a magnetic wave can propagate towards the Sun. I never knew a magnetic field is a thing that can be pushed. Furthermore, I thought you said in the past that the solar wind is a (net) neutral plasma. How does a neutral plasma “push” a magnetic field. Is this not reification? Also, I thought the solar winds accelerates from the sun. So how do you arrive at 10x faster? Does not this relative velocity increase with distance? The solar wind is a [neutral] super conductor. When a conductor is pushed into a magnetic field a current is induced in the conductor. The magnetic field of that current pushes on the other magnetic field. You know that a magnet can repel another magnet. The solar wind does indeed accelerate a bit away from the sun to a speed of 400 km/second. The Alfven speed in the wind near the earth is about 40 km/second [we can calculate that from the magnetic field and the density of the wind], so about 10 times slower. Electromagnetic waves are produced whenever charged particles are accelerated, and these waves can subsequently interact with any charged particles. EM waves carry energy, momentum and angular momentum away from their source particle and can impart those quantities to matter with which they interact. since EM waves propagate at the speed of light, this would require the solar wind to travel 10 times faster than the speed of light. The first several paragraphs may be suggesting a possible causal mechanism for astrology. That’s the strongest part of the article. Every civilisation came up with astrology. And it was clearly developed independently as South America used nebulae as well as star patterns (constellations). So astrology must have had some benefit for society. Even though the mechanism was mistaken, it must have worked. The rest of the article is touched by the more crazy. In the Colorado study they suggest it must be a type of gravitational amplification unknown in modern physics. Yep, must be something unknown in modern physics. That shows a rare combination of extreme openness to imaginative ideas and an extreme lack of imagination. Why be scared of the word “barycentrism”, Anthony?? It is only a word, after all. And so is “astrology”. Both words, in fact, only represent theories – and theories are the life-blood of science. Words only scare me if, in peoples minds, they become objects of faith rather than theories. I think Bryan Johnston has written an excellent paper – clear, intelligent, wide ranging; and well referenced to other scientific papers. No, I don’t “believe” him – but I listen and think. Thank you. I agree with everything you say. I find the closed minds on so many topics in these comment threads to be quite disturbing and disappointing, since in many cases, it’s clear the writers have done no research whatsoever into the theories they are condemning out of hand. I am taking no firm position on this, but it is food for thought. I would like to see some predictions made, so we can forward test the ideas presented. It is perfectly legitimate to forward an hypothesis without necessarily predicting anything. A scientific paper like Brian Johnston’s, assembling, gathering, editing a lot of previously found facts and research as well as adding new, relevant information can be safely left there for others to work on and possibly add to. I think it is unlikely (to put it mildly!) that we know all there is to know about the interactions between gravity and electromagnetic fields, whether they be mild or immensely strong. . And each little creature (and plant?) in our biosphere is, in fact immersed in his/her/its tiny sphere of electronic goings-on. Is there any interaction? I sure don’t know. What is life?? Why should the speed of light have anything to do with the relationship between mass and energy? What was going on a billion years before the Big Bang? I read and think; and when I see something I know to be spectacularly wrong it casts a doubt on the whole thing. His description of electronics is just wrong. His schematic diagram is just wrong. It’s like a child’s “find what’s wrong with this picture” puzzle. Nobody puts a capacitor in series with a battery. It’s stupid. It isn’t even theory. But don’t take my word for it. Build it and see for yourself. THAT is science! Repeatable experiments. He’s got forward biased zener diodes in series with the emitter of a transistor. Why would anyone do that? Nearby are reverse biased zener diodes in series with the emitter of a transistor. Why would anyone do that? NO! Theories are a dime-a-dozen. Research is the life blood of science, but it isn’t science until proven. That throws out just about all of modern Astrophysics and the Big Bang Theory, dark matter and dark energy then. None of which has been “proved”. How anyone can pontificate about what Gravity can and can’t do when no-one even understands what it is and how it actually works is beyond me. The same way they can conclude that because light is red shifted then the Universe is expanding, and therefore started in a huge explosion that created the entire Universe, and therefore there is no God and the Universe created itself. The same way that people believe humans do and animals do not possess self awareness and consciousness. humans do and animals do not possess self awareness and consciousness. Hand waving and supposition. self-preservation certainly suggests awareness of self. Well. That certainly explains Hillary’s cattle future play. to peoples brains running out all over the floor. I think an “open mind” is not what is needed and is often detrimental to critical analysis. But maybe they’re both superior to AGW, and certainly less dangerous. How are the ocean tides calculated to such great precision? It is not from first principles, which is hopeless at modelling a chaotic system like the tides. Rather the tides are calculated by careful observation and correlation with the position of celestial objects. Astrology plain and simple. The Farmers Almanack’s weather forecast uses the planetary positions as well, but as science begins to decode the influence of the planets positions, some of astrology might become science. Correlation does not mean causality nor does lack of direct correlation mean lack of causality when intervening variables are involved. We are often told that the periodicity of our sun cannot account for more than .1 degree change in temperature globally. With only two sources of heat, solar and geothermal, and a planet 70% covered with water, changes in either source can be absorbed, stored, dispered and let lose to the atmosphere, and that system is little understood, resulting in climate changes we cannot explain. Changes in the sources may be much more important than the absolute magnitude of those changes. Figure out the oceans and we will be much closer to understanding changes in climate and possibly not be in need of some of these more esoteric “explanations”. That, of course, assumes we can also get a better handle on under sea geothermal. CO2 is the only game in town. Learn to love it. So now you have astrologers posting their theories here. What next? Better check the aspects of the 24th harmonic. Where else could you read the sentence “Electromagnetic changes in the environment have been shown to affect a wide range of biological systems.”, followed immediately by; “Emergency ambulance statistical data accumulated in Moscow during March 1983-October 1984 have been analyzed.” ? Well, in addition to theorizing about magnetism and earthquakes, the author also offers a range of full spectrum astrological services. He also “discovered a vast new civilization that is not recognized by modern science” which he documents in his Atlantis in Canada website. The Moscow Data is where I skipped down to the comments section. Not bad though…on some articles I go there straight from the headline. They still have phase problems even after the baseless adjustments, it’s a dogs dinner. Are we talking dry kibble, or that wet hash style stuff in a can? May I quietly remind all you guys with one track minds that Newton spent most of his time studying all sorts of peculiar, psychic physics. We humans are perfectly able to have several theories in our minds at the same time. We may be completely wrong in one theory but totally right in another. So even if Brian Johnston is ridiculously mistaken in some respects he should still be listened to with respect. Each item of his scientific paper stands on its own and should be assessed on its own. Time will tell if the 2000 years old astrological theories reflect some facts or not. And with our modern science we are actually in a much sounder position to investigate the many (preposterous) claims. Do not get me wrong Andy. My mirth does not indicate I have decided this article is 100% baseless or not worthy of consideration. Did Newton have a sense of humor? I have a feeling it is important to laugh at least a hundred times a day. Or you might cry instead. Good AndyE! In fact is that not a prerequisite for critical thinking as opposed to lockstep advocacy? Given the methane emissions, a cattle cycle makes sense. Is this a joke? April 1 already? The schematic diagram is a chaotic assortment of symbols. For starters, look in the lower right hand corner. Notice a battery in series with a capacitor. There’s a circuit that does absolutely nothing. How about reversed bias on transistors and a mish-mash of NPN and PNP all on the same power rail. Whoever drew it really likes zener diodes. It’s a metaphor for the author? Yes – and most of the collectors are shorted to the emitter reference rail. Function? I see no function here. In Sweden we call the guest blogger´s “[Note, I don’t necessarily agree with the conclusion this publication….” BRASKLAPP due to a Bishop of Linköping Bishop Brask who in the days of Gustav Vasa declaring Sweden Protestantic wrote a note (sw. lapp) where it was said “härtill är jag nödd och tvungen” eng. This I need to do. Think that was a wise decistion to write that Note….. that at least can clear doubts of the guest blogger’s potentiality knowing theories of science…. such irragularity in argumentation close to fallacies rarely seen ….. thanks God for that. I noticed a typo in the 5th paragraph that begins “Previous research showed,…” “Scarfetta” should be “Scafetta”. Yep @Michael2 Looks like April1st. I note the post has been up 10 hours and has far fewer comments than is normal on WUWT. For me when the abstract says “(for sunspot patterns) there are also powerful influences associated with Uranus and Neptune.” I would hazard a guess that those relative tiny specks relatively a very very long way from the sun do not have “powerful influences”. It’s the magnetic fields aiding and bucking the fields in the various dynamos(Sun, earth, Jupiter, Saturn, Neptune, and Uranus ), as well as the iron planet (mercury ), you can see its effect in the 1907 solar sunspot cycle. @Micro6500 Yes of course the sun is big enough to vary magnetic fields etc . on the planets, If that is what he meant then I wrongly misread it. For a while I had thought about barycenter, bit Leif convinced bme that was wrong, but the was a paper about the Earth’s magnetic field snapping to the field of the Sun, and that’s when it came to me it’s magnetism. So the polarity of the magnetics and as they move around the Sun the field lines go in and out of phase, Lief also said as the Sun is switching, it magnetic field basically shuts down, but a small amount of magnetism remains and that kicks off the next cycle. Since magnetic field lines from the planetary magnets fill space, they will either snap to the files of opposite polarity of planets, or buck, and mercury is a wild card, it’s a big iron core, so you end up with a big field of magnets imprinting the solar magneto when the cycle changes. The 1907 sunspot record show the effect of it quite nicely. But it’s all of the planet’s with dynamos that are required, they set the longer ~180 year pattern. My comments do not necessarily support the mechanism of the article, but it could cause some of the effects of the Sun. A couple other notes, I believe sunspots are from magnetic field lines. And wasn’t there some cool hubble video of Saturn’s pole all lite up, aurora like, but much more compact. Even most casual observer would notice the triviality of the claim, usually a dozen or less of sample points (mostly covering about 10 years span) on mainly linear events. Your comments normally have higher fundamental value. Astrology in fact has a strong basis. Seasons have an effect on a person’s disposition. Seasons are correlated to star position. Ergo, the stars position can predict a person’s disposition to a certain degree even though there are no cause-effect relationship. agreed. EM fields propagate at the speed of light. the solar wind is a small fraction of this. The video shows none of this travelling upstream towards the Sun. It is painful to watch a grown man gyrate in such ignorance. There is no mention of any correlation with stock market returns and geomagnetic/solar cycle in the paper cited, no empirics, nothing, unsupported statement – hypothetical theoretical assumption not grounded in reality or real world data like AGW claims. You can say things which seem plausible and are unchecked, but if true is another story. There is clear evidence that the solar cycle impacts earth’s climate, maybe not by TSI variations, but by magnetosphere of sun oscillating impacting cosmic radiation hitting earth and atmospheric reactions, cloud formation, etc. Natural cycles occur, oceans, solar, etc. AGW claims correlation with CO2 with cherry picked time series data with only a spurious correlation due to left out data outside any t-test or statistically insignificant if looking at whole picture. Stock market prices and geomagnetic-storms, no evidence. Please update me if a correct cite or evidence exists (not in 1700s), Ph.D. in economics/finance, yet know climate area and scientific theory and data. There are so many things we do not know about natural generation of solar and planetary magnetic fields (Dr. Jeremy Bloxham Professor of Geophysics; Harvard University) and as consequence of the mutual interaction on the ‘generators’. Most Americans are familiar with the beauty and the potential dangers of the Yellowstone. But how many are aware that its magnetic field two strongest components are at 22 years i.e. the same as in the solar magnetic field, and wait the next one is ~ 60 years, yes the same one as it is found in the N. Atlantic’s sea surface natural temperature variability known as the AMO? Yes data is available at NOAA’s website. No! Why should it be when the ‘science is settled’. Previous research showed, most notably in the University of Colorado’s unpublished study of the relationship between the orbits of Saturn and Jupiter and the sunspot cycle that there was indeed a connection between these two cycles. Seriously? Exactly how are we supposed to confirm an “unpublished study”? The links provided don’t appear to work. And if the most notable study is unpublished, doesn’t this tell you something about the nonsense level of this whole topic? Actually, this article appears to provide support for astrology. Isn’t it more likely that cattle farmers read the rubbish in their horoscopes and act accordingly than Jupiter and Saturn really have any effect? The electronic circuit diagram at the bottom of the guest essay by Brian T. Johnston above is a pure joke. Nothing more. I am an electronic engineer M.Sc. and used to design complex electronic equipment. Therefore I assume the whole essay is a joke. Ditto – BSEE, MSEE, thirty years as a circuits & systems engineer in military advanced development. This whole thing has got to be a joke. I didn’t know cows rode bicycles. The gentleman carries no less than 5 titles! That should be a warning sign. Why five, when one is enough? What is the matter, you do not like alphabet soup? Hey, ever notice there are almost never any z’s in alphabet soup? 2) The article seems to present no evidence for the physical hypotheses. 3) Anything can be modelled using electrical components. Bad logic to create a model, then hypothesize that reality has the same physics as the model, without any physical evidence. 4) I agree with Leif that gravity can have no effect on magnetic fields. For example, the electric force is 10 ^33 times stronger than the gravitational force. The word “pushes” seems confusing. Faraday’s law says that a conductor in a changing magnetic field will have an electric field induced such that current will flow to counter act the changing magnetic field. IOW, it will attempt to cancel it out. 5) Electromagnetics is real, but absent any physical theory or modelling, this article seems like a kind of pseudo-scientific astrology. This is the reason it is important to read your horoscope each and every day. Gosh, you mean that if we take one set of data and change it in exactly the right places in a totally arbitrary manner we can fit it to another set of data? As you can see, both of these are totally unlike the graph at the top of the page for the anonymous unspecified “cattle prices”. The author should have been put off immediately by a simple fact—the bogus “Cattle Price” graph stops 10 years ago, which anyone in the field should have recognized as a serious red flag. Obviously, the significance of the “cattle cycle” is mooooot. I did notice the graph ending over ten years ago, but picking out one or another objection would require taking it slightly more seriously than I was prepared to do. I have done a lot of trading in various commodity related stocks over the past ten years, but I did not even bother getting out charts to see why he might have ended where he did on that graph. It seems immediately obvious that the only reason someone would do that is if the relationship breaks down badly after that. The good news is that steak seems to be getting cheaper this summer. The conclusion reached in this article that economic activities are directly related to Saturn-Jupiter cycle has been propounded by me and it is already throughly discussed in my book titled “Stock Market Astrology & Astrological Theory of Business Cycles” published by Sagar Publications, India in the year 2009 (also available in amazon.com). I doubt that the logical inferences to prepare this article has been stolen from my work published 6 years back and sold worldwide. I expect the proper credit must be given to the original source. ok if u have been reading it over 1900 give me an authantic example or correct establishment of sat-jup cycle with economic activity and taht too described so eleborately and scientifically before the publication of my book in 2009. Show mw any one example of authentic work. Wheather u consider my post as spam or not it doesnt make any sense and even if I spam it doesnot defend the act of piracy. i cant understand how a intellectual person try to defend a act of piracy with foolish and baseless arguements like that he have been reading it since 1900, if so mention the name of the work with year of publication. I even have doubts about the interactions of Jupiter and Saturn. I suspect all of these correlations are the results of curve fitting using Fourier analysis. Alan, I thought I uploaded a copy of it, but go find Leif ‘ s Sunspot record for the 1907 cycle, not a lot of curve fitting required. GCR gyrate around the Interstellar Magnetic Field as well (another energy source). More of them are seen on the Tail side (downwind) of the sun. The Solar gravitationally focused interstellar particles produce in our system an UPWIND crescent at 1AU and a DOWNWIND cone. Which also interact with Interplanetary Magnetic Field. Electromagnetic waves are sunlight. The solar wind is not electromagnetic waves, but particles carrying a magnetic field, like the magnets on your fridge door. Carla, your ‘focused interstellar particles’ are neutral and carry no magnetic field and do not interact with the interplanetary magnetic field. Carla, of course, Leif is correct. I would suggest creating a model based on first principles (Maxwell’s equations), with inputs from actual measurements. This would be productive and educational rather than this kind of endless pseudo astrological speculation. that Saturn and Jupiter ‘cycle’ with their Sun yeah makes sense to me. when they are out of ‘cycle,’ maybe an Interstellar ‘switch’ of sorts collided with the solar system. conjunctions that block the interstellar regime in the system maybe this is where it lies.. or become part of the solar magnetic reconnection with the interstellar magnetic field. Hey another conduit what the heck………………………………………. This is the waveform of cyclic operators.